Louis Harron was born in 1873, in Kalwarje, Lithuania. He came to the United States in 1894, at the age of 21, working in the Washington, DC area. Louis Harron came to Billings, Montana in 1904. Harron was a horse and wagon peddler of hides and fur in Eastern Montana. Eventually, he opened the Billings Auto Wrecking Co., which he operated until his death. Harron was instrumental in founding Temple Beth Aaron, which is a translation of his name. He won the honor by being the largest initial donor. Louis Harron dedicated so much time and energy to the Temple that the congregation celebrated Louis Harron Night every year. He was also a Temple Trustee. 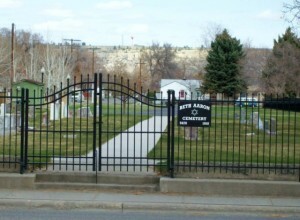 In 1918, the Billings Jewish Community needed to establish a cemetery. 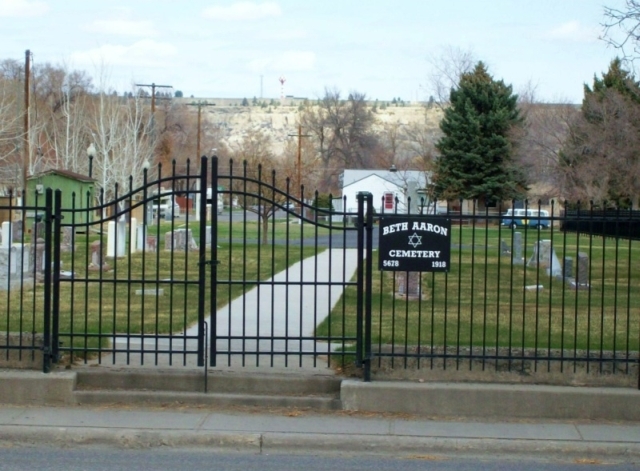 Due to Louis Harron’s financial support, they named it Beth Aaron Cemetery. Louis Harron was a member of Billing’s Masonic Lodge #113, AF & AM. He was a member B’nai B’rith Lodge #815 of Billings, Montana, founded in 1917. He was also a member of Al Bedoo Temple, Eastern Montana Pioneers, and the Montana Historical Society. He is buried in the Beth Aaron Cemetery in Billings, Montana. Samantha Silver is curator for this Louis Harron exhibit.